Pogledajte najbolje fotografije iz svijeta za dan 6. maj 2018. 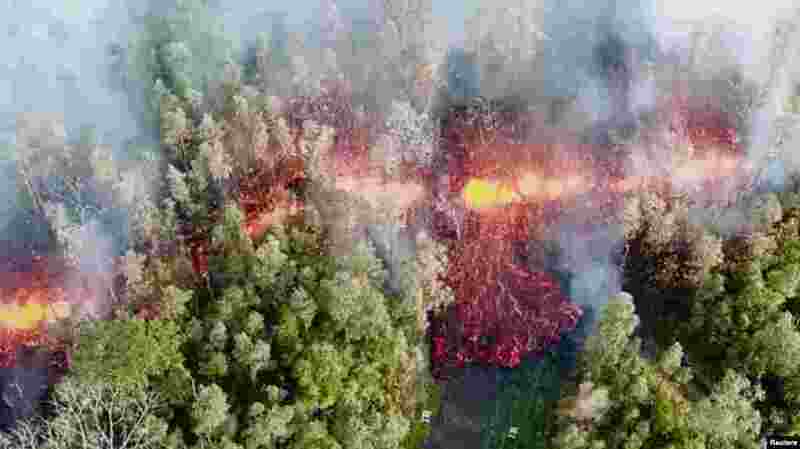 5 Lava emerges from the ground after Kilauea Volcano erupted, on Hawaii's Big Island, in this still image taken from video obtained from social media. 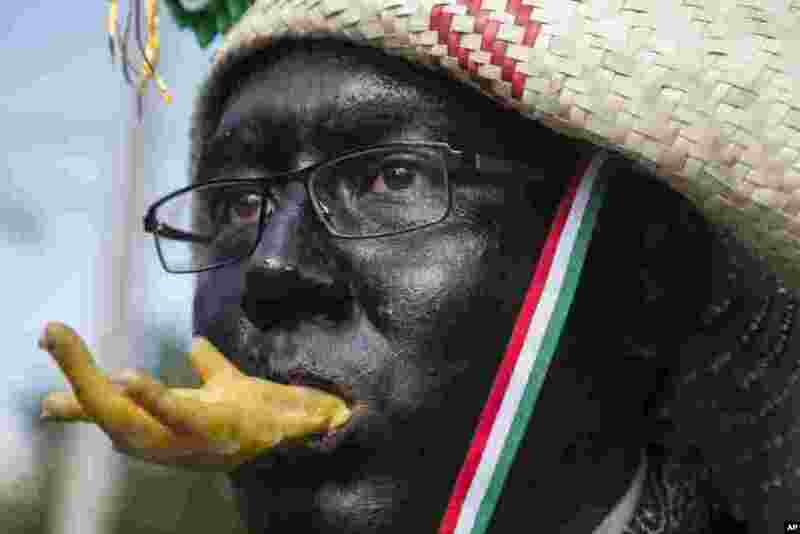 6 A man dressed as a revolutionary Zacapoaztla indigenous soldier eating a chicken leg marches during a re-enactment of The Battle of Puebla between the Zacapoaztlas and French army as part of the Cinco de Mayo celebrations in Mexico City, May 5, 2018. 7 Russian cadets march during a rehearsal for the Victory Day military parade in Red Square in Moscow. 8 Filipe Toledo of Brazil scores a perfect 10 during round one of the WSL Founders' Cup of Surfing at the Kelly Slater Surf Ranch in Lemoore, California, May 5, 2018.